Reds boss Jurgen Klopp says he is not concerned about the form of Mo Salah at the moment – saying he is just unfortunate at this point in time not to be finding the scoresheet. Speaking to LiverpoolFC.com, Klopp said: “He’s just rather unlucky, where Sadio is lucky in the moment. Both players have the same number of Premier League goals this season – 17 – but while Mane has 11 in his last 11 in all competitions, Salah has not netted in his last seven. As long as someone is finding the net, it shouldn’t be a major concern. The time to worry is when both players are misfiring, which is far from the case at the moment. 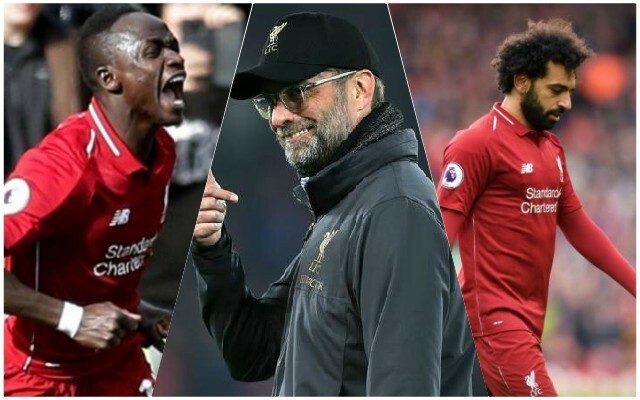 Mane certainly appears to be profiting from defenders focusing most of their attention on Salah, and there is reason to believe that in the coming games, given the form of the pair, that might switch over. If it does, it could be Salah’s turn to hit a hot patch as the season comes to a close.